Is Twitter about to get more private? Twitter gets a lot of things right, but its private "direct messaging" service leaves much to be desired. 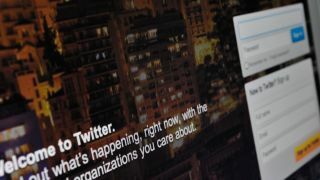 That could change this year, according to AllThingsD, when the social network revamps DMs to bring them further into the forefront of the Twitter experience. Today, the site reported speaking with multiple sources who all agree that change is coming. Exactly what those changes are and when they'll arrive is less clear, but there are some hints to go off. The updates to direct messaging could reportedly encompass at least two major changes, one of which has already started to arrive. More significantly, the company has reportedly also considered releasing a standalone DM app for those who want to send messages without the noise of a typical Twitter feed. Twitter's standalone messaging app would be a response to the messaging apps that may be about to supplant traditional MMS applications on smartphones. These include WhatsApp, Snapchat and KakaoTalk, the last of which Twitter even mentioned in its recent IPO filing. AllThingsD's sources also mentioned that Twitter execs met with employees from the messaging app MessageMe earlier this year, though to what end is unclear. Interestingly, these changes might come after Twitter reportedly considered killing direct messages altogether and turning the social network into a public-only service. Catch up on the news! Twitter this week added the option to get DMs from anyone, even people you don't follow.